Home » Asian Market » Asian stocks closed higher on Tuesday, taking cues from the rally in U.S. stocks as investors temporarily set aside recent trade-related concerns. Moreover, China’s commerce ministry said on Tuesday that it’s raising “anti-dumping tariff rates” for some optical fiber products originating from the United States, effective on Wednesday, July 11. Furthermore, the new anti-dumping tariff rates for dispersion unshifted single-mode optical fiber imported from the U.S. range between 33.3 percent to 78.2 percent, compared with 4.7 percent to 18.6 percent as set in 2011. Over to Mainland China, the Shanghai Composite rose 0.44 percent to close the session at 2,827.44, while the smaller Shenzhen composite gained 0.71 percent to end the session at 1,585.77. 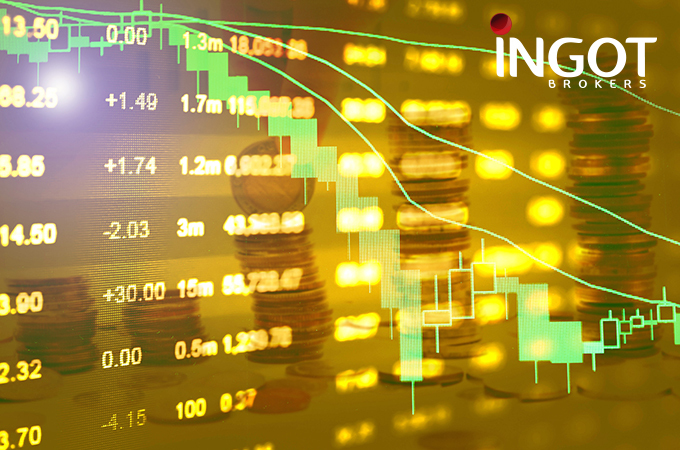 Hong Kong’s main benchmark Hang Seng fell by 0.02 percent to trade at 28,682.25 at the close, pressured by losses in the Healthcare, Technology, and Consumer Non-Cyclicals sectors. Meanwhile, South Korean benchmark KOSPI added 0.37 percent to end the session at 2,294.16 supported by significant gains in Telecommunications Services, Energy, and Technology sectors. In stocks news, Samyoung Chemical Co Ltd was the best performer in the session, surging 29.87 percent followed by Sewoo Global Co Ltd which added 18.57 percent. Japan’s Nikkei 225, rose by 0.66 percent, or 144.71 points, to close the session at 22,196.89. As gains in Energy, Technology and Financials sectors supported the broader market higher. In the economic space, the Bank of Japan said that the M2 money stock in Japan rose by 3.2 percent year on year in June, settling in at 1,007.2 trillion yen. The figure was according to market expectations and unchanged from the previous month. The M3 money stock added an annual 2.7 percent to 1,336.6 trillion yen – again unchanged and matching forecasts. Meanwhile, the best performers of the session the Nikkei 225 were Yahoo Japan Corp, which surged more than 11 percent or 41 points to trade at 401.0 at the close. Meanwhile, Showa Shell Sekiyu KK added 9.65 percent or 148 points to end at 1,682, and Yaskawa Electric Corp rose by 6.36 percent or 245 points to close the session at 4,100.0. On the flip side, the weakest performers of the session were Sumitomo Dainippon Pharma Co Ltd, which fell by 4.08 percent or 97 points to trade at 2,283.0 at the close, while Kansai Electric Power Co Inc lost 3.36 percent or 54.5 points to end at 1,568.5 and Chubu Electric Power Co Inc, was down by 2.81 percent or 48.5 points to end the session at 1,677.0. In the forex space, the Japanese Yen fell against the U.S. dollar on Tuesday USDJPY traded at 111.30 at 11:00 GMT. On the other hand, Australian shares were lower after the close on Tuesday session, pressured by declines in the Telecommunications Services, Financials, and Technology sectors. The S&P/ASX 200 index fell by 27.900 points, or 0.44 percent to close the session at 6,258.100. In the economics space, the latest survey from the National Australian Bank revealed that business confidence in Australia was unchanged in June, with an index score of +6. That’s unchanged from the May reading. The bank also said that business conditions were steady with a score of +15, also unchanged from the previous month. the best performers of the session on the S&P/ASX 200 were Bellamy’s Australia Ltd, which surged 9.92 percent or 1.22 points to close the session at 13.520 Meanwhile, IPH Ltd added 6.06 percent or 0.28 points to end the session at 4.9000 and Pilbara Minerals Ltd rose by 6 percent or 0.06 points to close the session at 1.050. On the other hand, the weakest performers of the session were Pedal Group Ltd, which fell by 7.45 percent or 0.77 points to trade at 6.560 at the end of the session. NEXTDC Ltd lost 3.67 percent or 0.27 points to end the session at 7.090 and Vocus Group Ltd, was down by 3.24 percent or 0.08 points to end the session at 2.390. In the currency market, the Australian dollar fell against the U.S. dollar on Tuesday; AUDUSD traded at 0.7433 at 11:00 GMT.